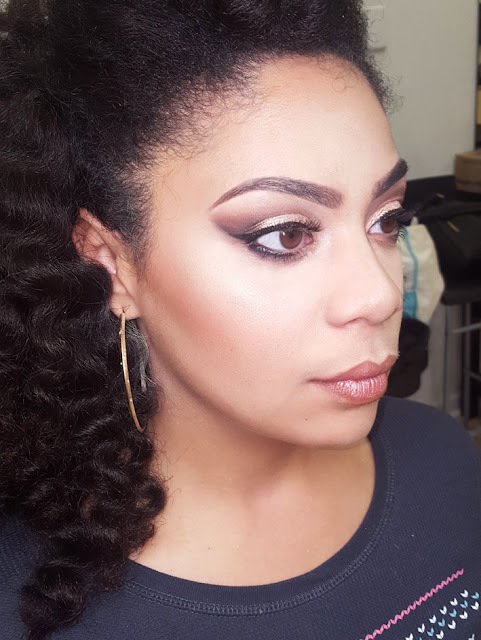 I wanted to share with you a makeover that I did for a client. She wanted a cut crease look...something you'd see on the timeline of instagram. What a client wants, she gets with my own personal touch of course. Check it out! 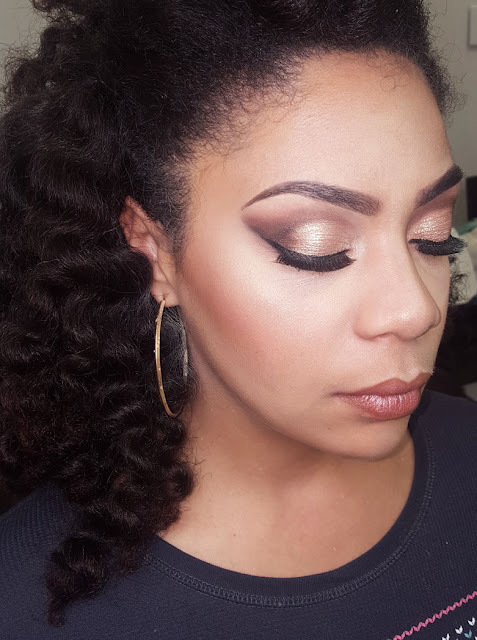 We went for a gold shimmer cut crease. My client loves glam makeup and wears it everyday, so she wasn't afraid for a little more drama. I actually airbrushed her skin to give a super smooth finish - unfortunately the lighting was a little washed out. 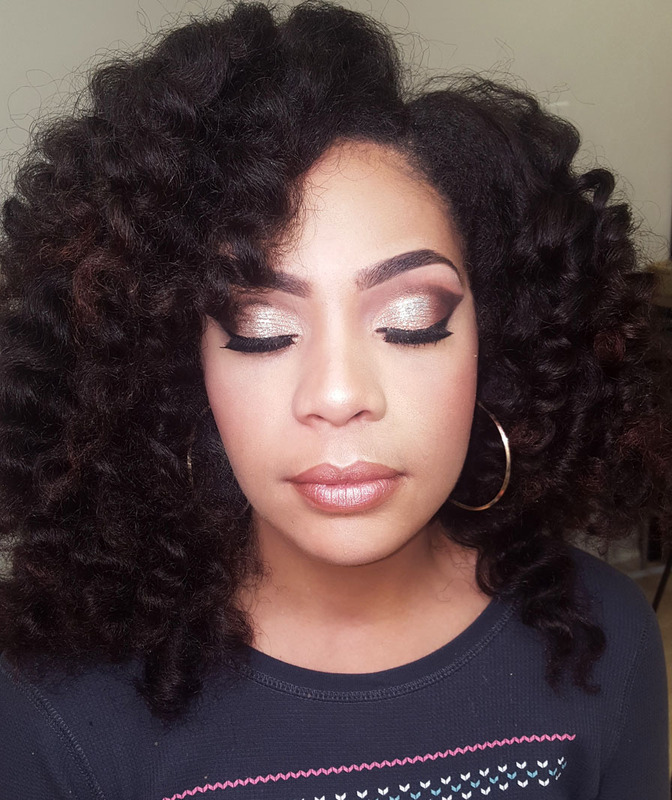 My client rocked this fun look for New Years and also hired me to do her wedding makeup. I can't wait!